With a mixture of sophisticated and classic design along with infinite possibilities, Rational is a multi-award-winning brand with over 50 years’ experience in the kitchen industry. Walter Fischer founded Rational, near Osnabrück, Germany in 1963. Within 20 years he had set up a second production company and had broken into the German market as well as the international stage. By 1996, they were one of the first manufacturers to receive a ‘Golden M’ award. Using the most stringent of criteria, the furniture was approved for excellent quality, guaranteed safety and environmental considerations. More recently, the company has become a member of the German design council and received ‘The German Brand Award’. The combination of design along with functionality is at the heart of what Rational do. With German quality engineering, everything from the draw runners, carcass material to the larder pull outs are of exceptional standard. This is proven by the longevity of the furniture, with many of our clients still enjoying their kitchens 30 years on. They are also an incredibly efficient company to work with, with set systems in place for precise ordering, online portals with up to date information and specific scheduled delivery dates. The launch of Rational’s Tio handle-less range in 2009, was an example of the company staying ahead of kitchen trends. This handle-less design is still an extremely popular option today, with it being used in many of our contemporary, stream lined kitchens. It offers the practicality of a handle whilst portraying a minimal, clean design. If handle-less is not your thing, there are plenty of other options available, with choices such as a statement copper textured handle, stream-line brushed steel or a more traditional antique shell alternative. Another advancement the company has made is the introduction of their Mahlzeit range, gearing more towards the younger market. Having recognised that cooking and eating habits are changing, they have taken this on board and released a range that is fun, sophisticated and flexible. 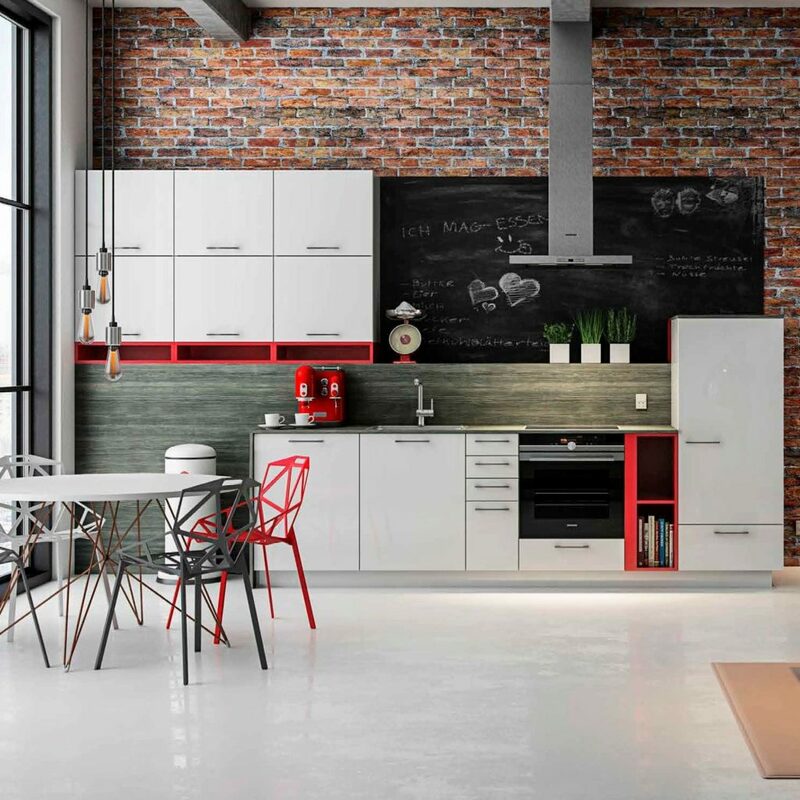 The choice of colours and finishes also reflects this, with splashes of bright hues and subtle textured doors that are durable, yet attractive. 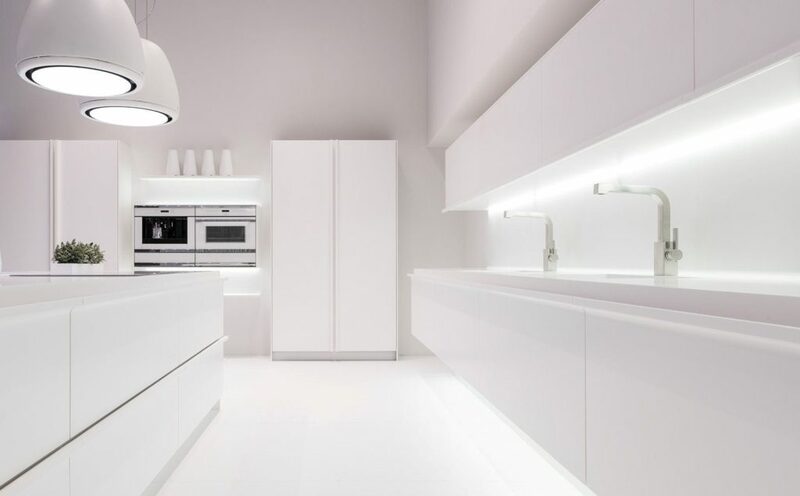 In order to expand into the design market, Rational have recently worked with an influential designer, Karim Rashid. He is a globally renowned for his flair and passion in the world of product, fashion and interior design. 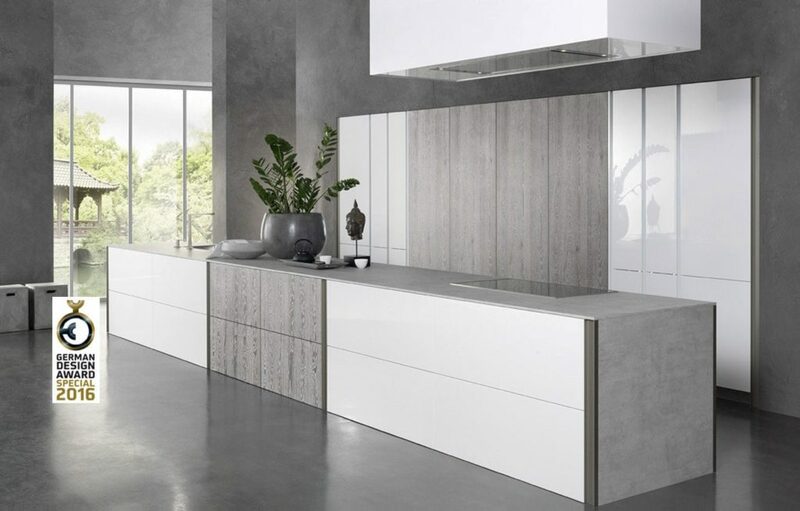 He has inspired the new Floo range which encompasses fluidity in the kitchen environment. The unique handle design cascades over the door organically with monolithic elements, tying in the scheme together. Kitchens represent our lives and reflect the way we want to live. The Rational brand has successfully embraced this and produced a product that embodies quality, style together with timeless elegance and endurance.